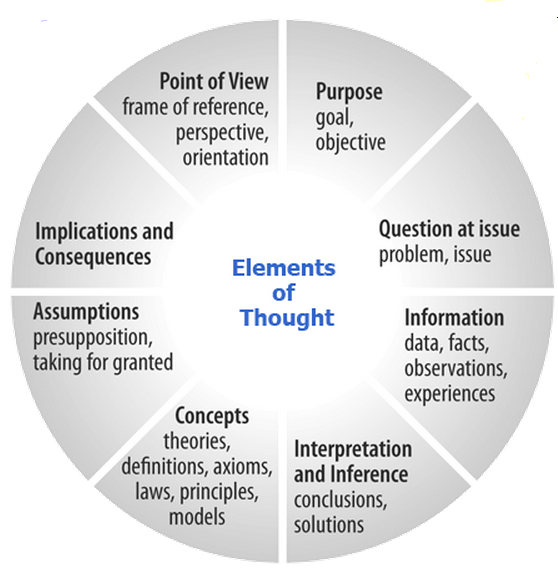 Critical Thinking – Is there an app for that? Then they assigned themselves a grade for the unit using a grading profile that defined the criteria they had to meet to earn an “A” or “B,” etc. Then they used presentation apps such as “SlideIdea” and “Explain Everything” to develop and narrate presentations about how clear, accurate, deep their understanding of the unit was and defend their chosen grade. They created and included mind maps using “Noteability” to show how the concepts, information, questions, and points of view of the unit related to one another. Part of me laughed, and replied that critical thinking is an “app” your brain should be applying all the time. And that once you learned the structure, you could use the elements of thought (logic wheel) and intellectual standards without the aid of technology anytime and anywhere. But then I stepped back to question myself. In an increasingly technology-drive world, why hasn’t anyone developed an app out of these tools? It might not be necessary, but to young people who do much of their thinking via technology, it might make these structures more engaging, accessible, and helpful. Maybe my students’ next project will involve designing their own. 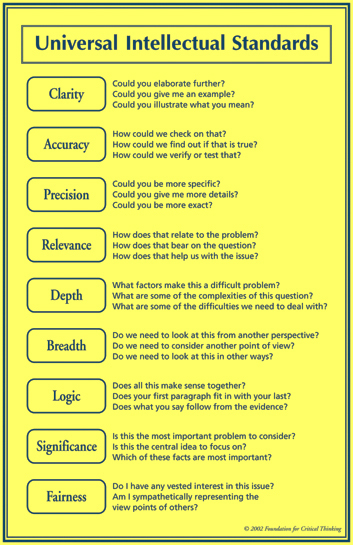 Previous postThe only critical thinking assignment you’ll ever need! Next postIs mindfulness the new fitness?